The Artist’s Portrait is the type of story I wouldn’t normally pick off the shelf, however, the small blurb on the cover ‘A novel about art, murder; and marking your place in history’ is what intrigued me. Published by Hachette, Julie Key’s first novel was shortlisted for the Richell Prize. The story follows Jane Cooper, a pregnant woman in the nineties, who abruptly meets her elderly neighbour Muriel Kemp. With her no-nonsense approach, Muriel practically forces Jane to write her story about her youth as an artist in the 1920s. As Jane listens to Muriel’s risqué lifestyle and does some research of her own, she discovers that Muriel Kemp apparently passed away in 1936. Is Jane conversing with the real Muriel Kemp, or is legend more valuable than the truth? The dual-narrative goes back and forth between the ‘90s, focusing on Jane’s struggles with pregnancy and her discussions with Muriel, and Muriel’s past in bohemian Sydney in the ‘20s. I enjoyed Key’s description of Muriel’s artistic inspirations. She effectively captures how a creative mind is driven through emotion; Muriel simply cannot not paint. Muriel’s past is scandalous. Her affairs are as torrid and fierce as her art. Keys creates a world where people were desperate and poor yet determined for their art to be true as they are caught up in this demanding art scene. I admired Jane’s character as she experiences her pregnancy and motherhood alone, except for the small support she gets from friends and family. I liked that Jane had no love interest, it was well-balanced with Muriel’s sexually-driven past. By the end I was looking forward to finding out Muriel’s secret; the mystery of the past hooked me in. 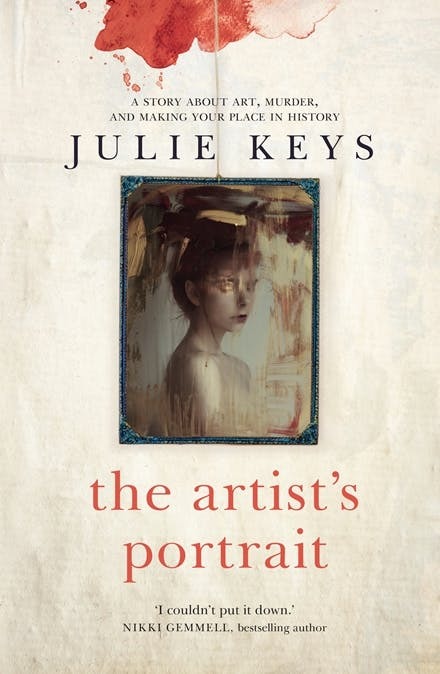 The Artist’s Portrait is a raw and fun read; a great addition to Australian literature.